Hillary Clinton is flawed, but her new election memoir shows that the wounds she sustained during the election were not fatal. As an icon of women's empowerment, Clinton seems to be just beginning to grapple with her privilege as a heteronormative white female from a middle-class suburban background. Hillary Clinton once called herself a Rorschach test for the United States. Few U.S. politicians elicit the range of vastly different, symbolic, or remarkably self-referential responses that Clinton does. 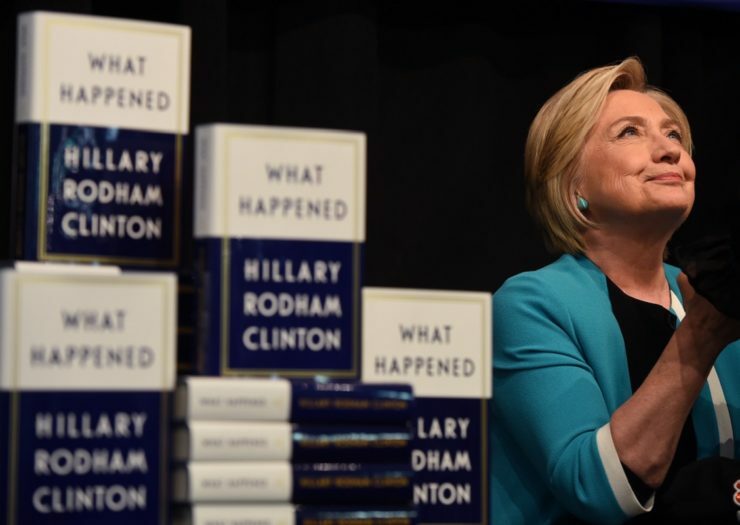 Now ten months after her defeat to Donald Trump, Clinton’s making headlines again, with the release of her highly-anticipated memoir What Happened, which has been greeted with both applause and suggestions that she should just shut up and move on. Clinton clearly hopes to highlight her presidential bid instead of memorializing the defeat. 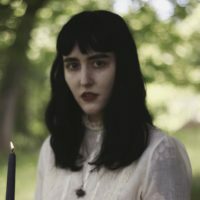 She is intent on making space for herself on the bookshelves, for history is not kind to ambitious women or people who do not write things down, especially in an era of alternative facts. Clinton’s convictions and concepts are strongest in the chapter “On Being a Woman in Politics.” “At this moment in America,” she writes, “more than forty-four years since Roe v. Wade, women’s access to birth control is still under constant threat. I saw the effect of this in the 2016 election. Reproductive health was rarely mentioned in any of the primary debates, and when it was mentioned, it was often because I brought it up.” Perhaps this reads as the strongest part of her narrative because it hews closely to her political platform and allows her to restate her fundamental values. Still, her words do not attempt to reunify a Democratic Party that is questioning whether its pro-choice stance on abortion is a prerequisite for party membership or support. As an icon of women’s empowerment, Clinton seems to be just beginning to grapple with her privilege as a heteronormative white female from a middle-class suburban background. She spends time turning over terms like emotional labor and misogyny, figuring out where they fit in the landscape of her life. She sees her understanding of her gender as pivotal to her politics, and reproductive rights are at the forefront of that. “Ultimately, I’m pro-choice, pro-family and pro-faith because I believe that our ability to decide whether and when to become mothers is intrinsic to our liberty,” she declares, noting that the reproductive protections put in place by earlier administrations are in peril. Readers are left to mull the ongoing dismantling of legislation that ensured some degree of reproductive rights and to imagine the world “if I had won,” a phrase that Clinton writes a number of times. As a citizen, I want to believe her. As a critic reading between the lines, I wonder why she’s being so coy—and why her political savvy and advisers seemed to desert her. Also vexing is the absence of any meaningful discussion of the cultural gaffes and political missteps that led many voters of color like me—reliably Democratic voters—to be ambivalent about her candidacy. The “7 things Hillary Clinton has in common with your abuela” incident, the botched Rosa Parks campaign logo, and Bill Clinton’s private tarmac meeting with Loretta Lynch aren’t carefully examined. And Clinton couldn’t type the word “superpredator” even though she spoke the word aloud in 1996 and activists took her to task for it in 2016. But Clinton writes that she understands there is a wide divide between how Blacks and whites think about and experience race, but What Happened suggests she remains as unwilling to listen now as when she engaged “disruptive”—her word in the book, not mine—Black Lives Matter activists, accusing them of speaking past her instead of to her, because she could not see the world they lived in. Michael Brown was killed on August 9, 2014, and it took her 19 days to release a statement of substance. But her “Turning Mourning into a Movement” chapter waxes poetic about how the Mothers of the Movement—women whose children or relatives died at the hands of police—inspired her to never give up. At times, Clinton’s tone seems to be aiming for “highbrow homegirl/confidante,” but the distance is just too great to suspend disbelief for almost five hundred pages. Clinton isn’t worried about being deported or losing her health care, so she can take a few minutes to be relatable and talk about alternate nostril breathing, yoga, and her proclivity for chardonnay to get her through the tough times. She peppers in lyrics from Hamilton and quotes author Chimamanda Ngozi Adichie, and some of her musings and anecdotes still sound like campaign rhetoric that is deliberately and a bit desperately trying to humanize her, even though she isn’t running. Perhaps, after decades in the national spotlight, that is who Hillary Clinton is: a unique and sometimes jarring amalgamation of memories stitched together by quips and quotes honed during her political career. There isn’t much in the way of political intrigue or personal bombshells here—no revelations of previously unearthed double dealings. Clinton’s anger at former FBI Director James Comey, her Democratic rival Bernie Sanders, Russian President Vladimir Putin, and President Donald Trump are palpable and predictable. Hillary Clinton may no longer be campaigning, but she is not exactly going away. She’s willing to collect your email address, touting an unspecified mission to bring citizens together to create change. What Happened begins with the familiar July 2016 photograph of Clinton, dressed in her crisp white Ralph Lauren pantsuit, accepting the Democratic Party’s presidential nomination in Philadelphia. Hillary Clinton is flawed, but the wounds she sustained during the election were not fatal. What Happened is her way of cleansing the mic and clearing the stage, taking some—if not all—of her baggage with her. Whether you view Hillary’s election autopsy as an explanation or an excuse, she’s said her piece and your response just isn’t her problem.